Having helped our Australian farmers with $19,000 plus 30 pamper packs we embarked on an International project to raise funds to provide Anna Papoutsakis with two more cows for poor families in Central Vietnam, to add to the 9 that the club and individual members have already given her. The toy raffle that we ran at Cherrybrook Shopping Centre last week raised $1307.50. The raffle was closed at 10pm on Nov 12th and the three winning tickets were drawn. ​Thank you to the Club members and partners (Anne, Bernard, David, Jill, Janelle, Kerry, Keith, Margaret, Max, Rosemary, Ross and Steve who sold tickets and collected donations over the 4 days we were present in the Shopping Centre. The support from the community and the Shopping Centre is much appreciated and we got close to our objective. 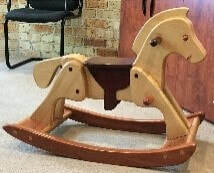 Of course without the generous donation of the rocking horse and skittles by Errol and Myra-Ann from EJ Creations at Kellyville (http://www.creationsbyej.com.au/) we would not have been able to raise this money for Anna. 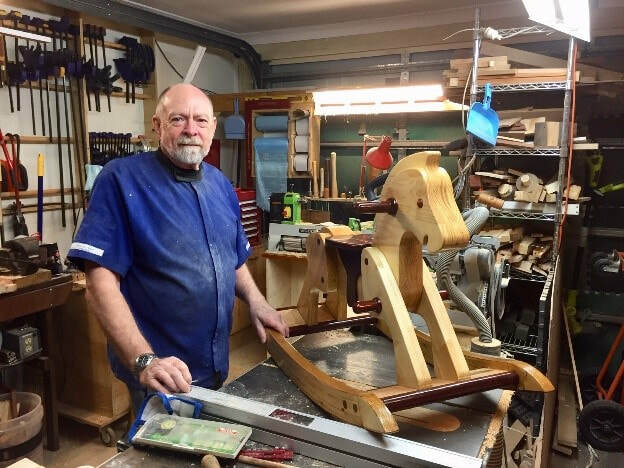 Errol makes high quality wooden toys should you wish to give one of his creations this Christmas. And even some of the adult 'kids' have especially taken to his scale models of cars and trucks. 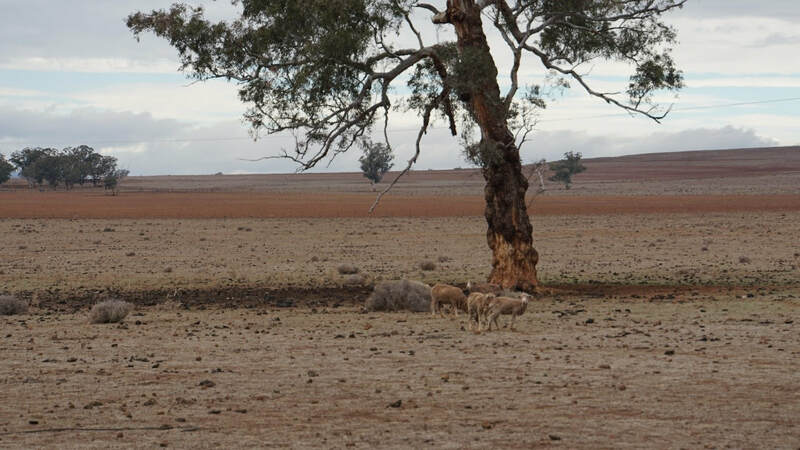 The Coonabarabran visit was and outstanding success and it rained during our stay, not much but every bit helps. We were warmly welcomed by the Coonabarabran club who joined us for dinner on Sunday night We enjoyed their hospitality again on Monday night at their regular club meeting. The are a club very similar to us – Do good while having fun. Their club meeting is quite different to ours but it works well. Club President runs all aspects of the meeting, setting up and packing up the venue and proposing the toast. They have no fines session or raffle. They have a door prize that allows the winner to select a playing card from a board showing those previously selected. If the joker is selected they win the jackpot which increases by $20 if not won. The meeting venue is as the bowling club and two course dinner is served by club members. Andrew has lots of photos to share. The club is 69 years old and currently has 26 members. It provides many outdoor amenities for the town. Its main fundraising is from a bookshop that operates 4 days a week throughout the year (strategically located next to the supermarket) and from providing a food van at local events such as the Open Day at Siding Spring Observatories, the annual Coonabarabran Cup Race day, and the North West Equestrian Expo. Helter Skelter Shelter: towers are constructed from common materials and then tested for strength and stability, through the use of weights and a shaking base which simulates an earthquake. We heard from Jarod Lambert (Year 12) about his experience at the London National International version of NYSF (National Youth Science Forum). Jarod met Erik and formed a strong friendship. They are somewhat similar in their ability to speak competently and enthusiasm for science. Jarod also explained that students from Coonabarabran endeavour to seek work experience in Sydney which is where he did his. Finding companies to participate and accommodation is difficult so perhaps this is something we could explore further. 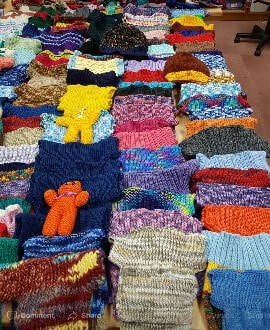 The Coonabarabran Club were very appreciative of the $17,050 and the thirty pamper packs donated by our club. The extra $50 came from a neighbour of Peter Cleary. The club will decide how to best distribute our money next week. President Jo and husband Lindsay (also a Rotarian) showed us some of the tourist attractions on Sunday so we all have lots of photos of sandstone caves and some have come home with Australian themed pottery from a local pottery. 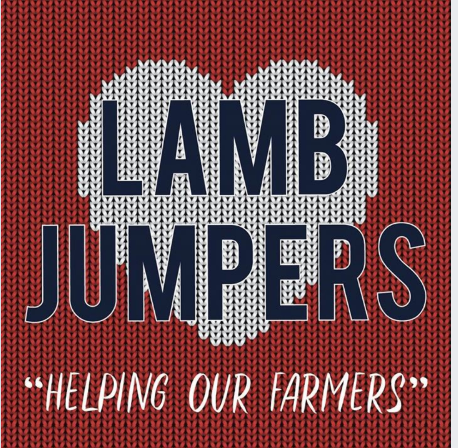 Larissa visited the sheep farm of the Club Rotarian who co-ordinates the jumpers for lambs and enjoyed herself immensely. 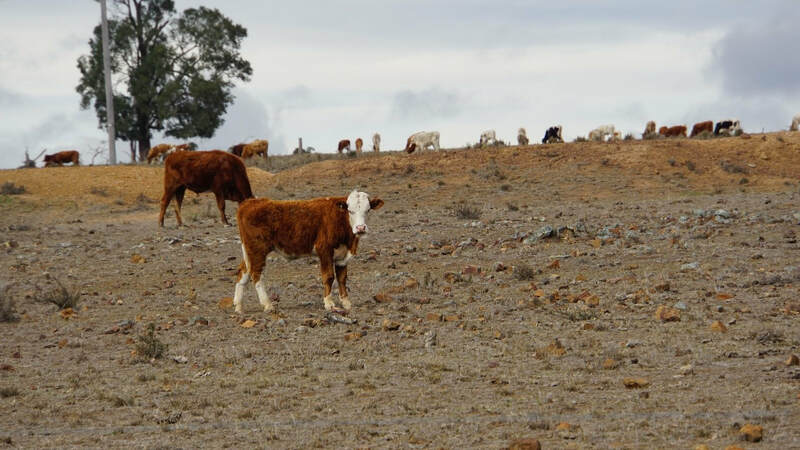 Arrangements are underway for a few days stay at the farm after school closes in Dec. We discovered that Larissa’s family have a farming background and Coonabarabran has a lot in common with the area where she lives. 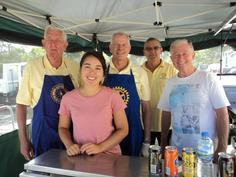 The Coonabarabran Club normally hosts an exchange student but are having a year off. They continue to support the Rotary Australia New Zealand Student Exchange Program (RANZSE). Our District does not participate in this program. Finally our club members Anne, me, Peter, Julie, Gino, Ros, Andrew, Desley, Rosemary, Rob and Larissa enjoyed ourselves immensely and I am sure this will lead to a long-term relationship between the two clubs. We know at least one Coonabarabran club member will be visiting us before the end of the year. 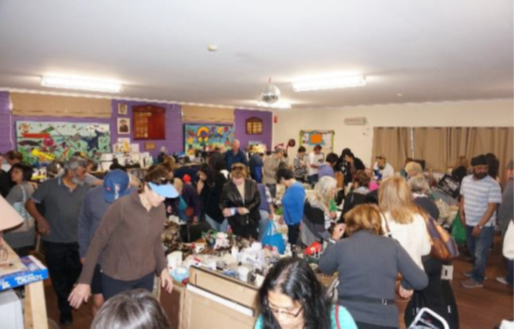 Each year on a weekend in late September the Club runs a Garage Sale at, and around, the Girl Guides Hall and Fire Station in Cherrybrook. In recent years we have introduced (and expanded) the concept of the Sunday being a Fun Day. The introduction of clowns, face-painting, farm animals and a Jumping Castle has increased the publics enjoyment. This year’s garage sale was a huge success, with revenue some $25,803, the best ever, bettering last year by 15%. The nett after costs came around $19,500. This was thanks to the huge effort of David Turnbull and his committee, and all of the members, partners and friends who helped with the planning, collection, sorting, setup and sales on the day. A major project with a great result…. 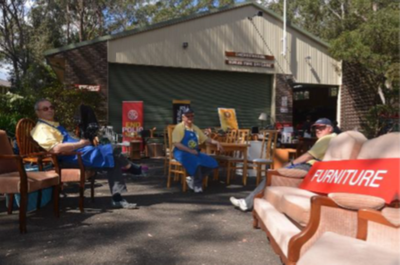 But did you know that despite this being the best ever Garage Sale, we met for over an hour after Sunday closure to work out how to make the next one better. 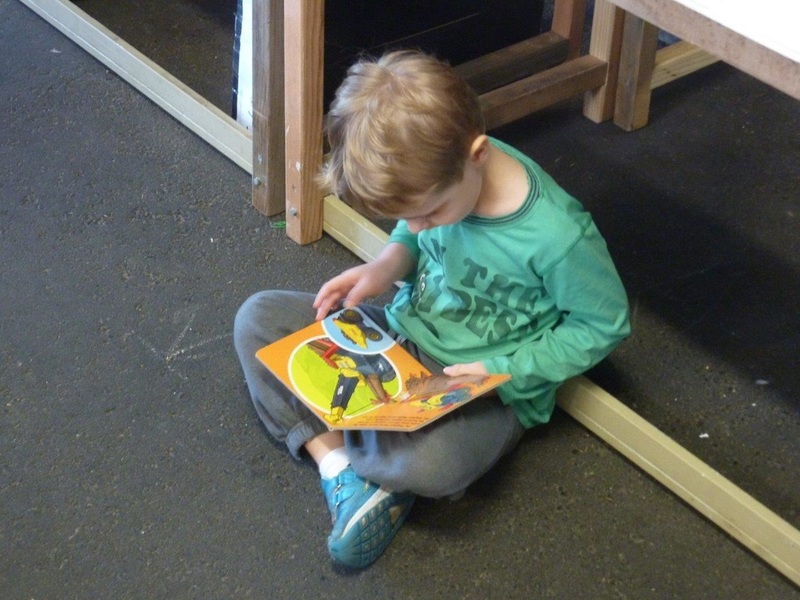 The 2016 giant book sale, held at the Uniting Church in Cherrybrook, was a huge success with around $14,000 being raised, surpassing last year’s results. Thanks to the kindness of local people donating books, CD’s, DVD’s and records, we had over 5,500 fiction and non-fiction books for sale, as well as hundreds of CD’s, DVD’s and records. 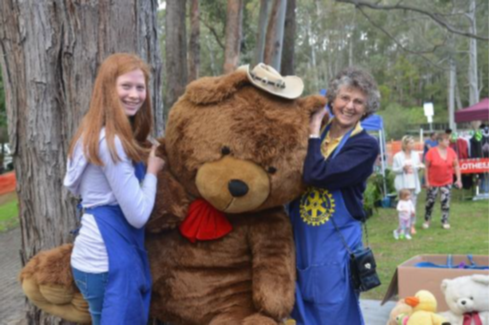 A considerable amount of planning, preparation and hard work went into making this book sale the success that it was, with great support from club members, their partners and assistance from Hills Rotaract members and others. 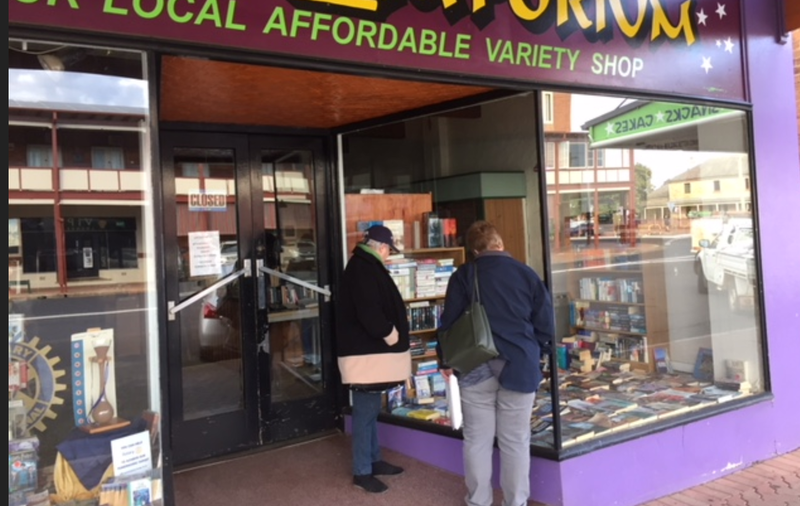 Many customers commented that this was the best run book sale that they had been to as fiction books were sorted by author surname and non-fiction was sorted into 25 main categories which allowed people to easily find what they were looking for. The book sale is a great way for our members to participate in community service to raise funds for well deserving charities and local community projects that are undertaken by our club. At the same time it also provides fellowship and enjoyment of working together as a team. Proceeds from the book sale will be donated to our designated charities this year, including Books In Homes Australia, Shine For Kids, Lynch Syndrome Australia, Operation Hope. 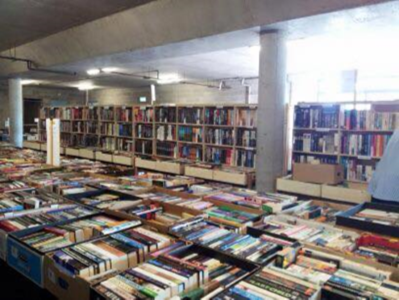 We would also like to thank the Cherrybrook Uniting Church for use of their premises to hold the book sale. 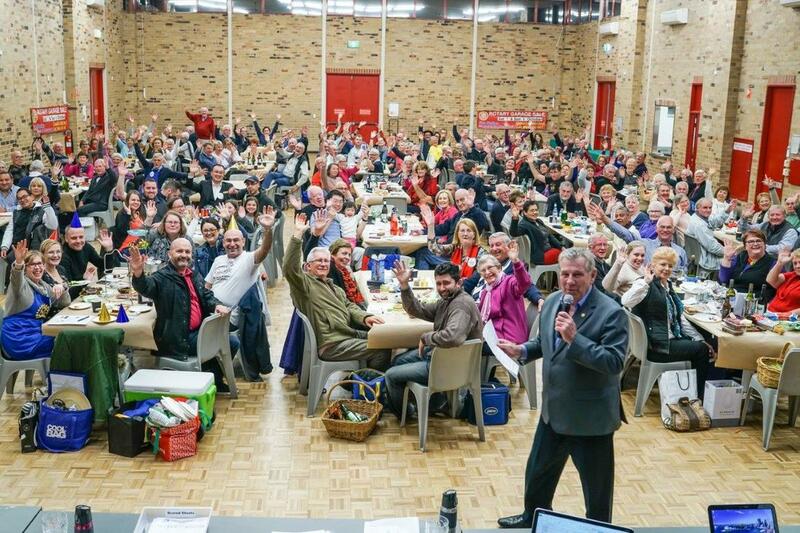 We had another very successful trivia night last Saturday night, with around 190 people attending. Altogether, with the raffle, coin nearest the bottle and the entry fee, we raised around $5,100. There are some expenses yet to come out of this, however it’s a great result. 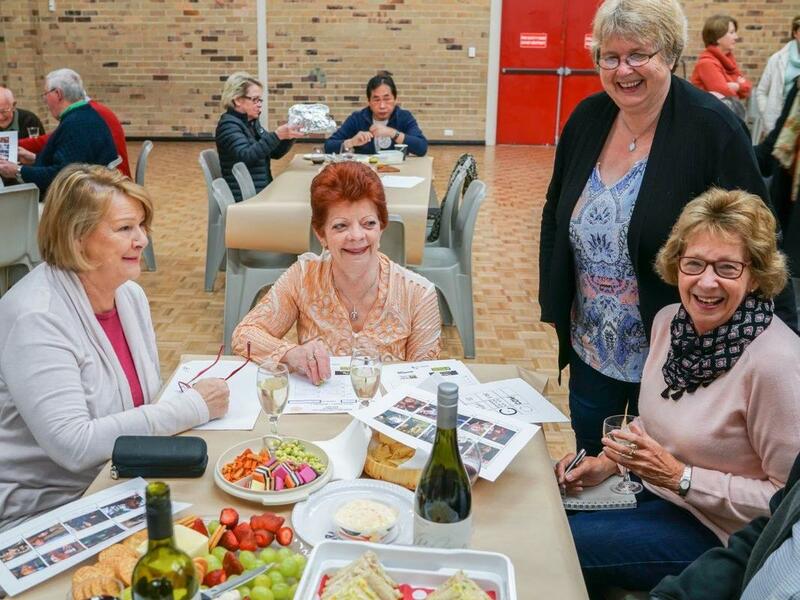 Everyone who comes to our trivia night has a good time and enjoy themselves. This was demonstrated when they were asked whether they had been before, the majority of people put their hands up! Margaret McGowan, Colin McGowan, Jill Turnbull, Joseph Degabriele, Lynne Henderson, Max Henderson and Desley Little for the tremendous effort they have put into the planning and organisation of the trivia night, particularly with the raffle prizes and the trivia night prizes. all those members & partners that came at 5pm to help set up the hall. The other people that need to be thanked are all the members, partners, friends & relatives who supported our Trivia Night by coming along and making the night a big success. Bunnings sausage sizzles are enjoyed by thousands of Bunnings customers every week. These are valuable fundraising opportunities for local community groups - all of the funds raised go straight to the community group conducting the fundraiser. 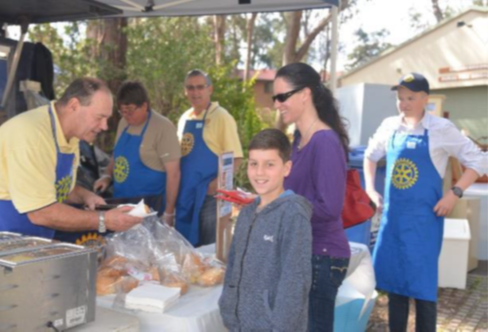 The Club attends the Dural store three times throughout the year. We also attend the Thornleigh store similarly.